So, how does Fairey’s claim measure up against the four factors considered in fair use arguments? First, is the poster sufficiently transformative of the original photograph for Fairey’s claim to be successful? In other words, what was the purpose and nature of Fairey’s use of the photograph? 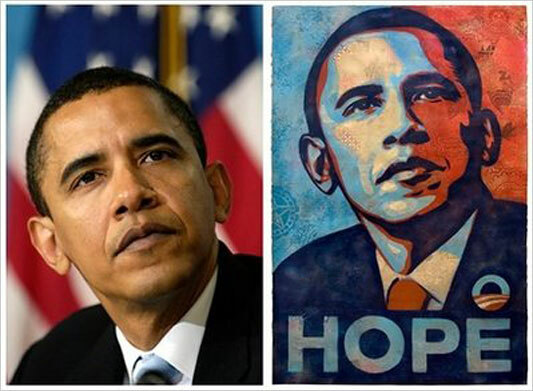 If President Obama’s pose and expression are taken out of the calculation, how transformative is the poster image? Those questions are hard to answer, but I think may be in Fairey’s favor. Second, the nature of the photograph itself must be considered. Although copying factual works is given more latitude (because dissemination of factual works benefit the public), it’s not clear how to apply this argument to a photograph. However, as AP has already published the photograph, Fairey’s case for fair use is stronger, as the author of the work has already controlled its first public appearance. Third, the more of the work taken, the less likely a fair use claim will succeed. The entirety of the original work was indeed used for the poster, which is in the AP’s favor. Finally, the effect of the use on the potential market for the original work also needs to be considered. Here, I think the argument is in Fairey’s favor, as the market for the campaign poster is unlikely to encroach on the market for the original image, nor is it likely that the poster image caused AP to lose income in the photographic image. If anything, the now ubiquitous poster probably enhances the market for the original image. It’s interesting to note that the Obama campaign never officially adopted the poster, due to–that’s right–copyright concerns. I have just seen this regarding a way of storing copyright works. Yes there is a thing called copyright but there is also artistic interpretation… did people sue Andy Warhol? but for what, Samantha? Most of what he worked with was trade mark material – eg Campbell Soup Can type stuff – in that case the rules are different (you are only liable for ‘trade mark use’ that is use in the course of trade. Don’t think his art would have counted. I guess there were some photos he worked with – there was for example that photo of the electric chair that he repeatedly re-interpreted. Whichever way you look at it that was political comment. Fairey’s use of the Obama image doesn’t fall into that category. That said, I think there are good arguments that what Fairey copied was arguably not a substantial part of what copyright protects in a photograph – ie the photographer’s skill. cf Bauman v Fussell (very old case about a painter who re-did a photo of a cockfight as a painting. No infringement…). 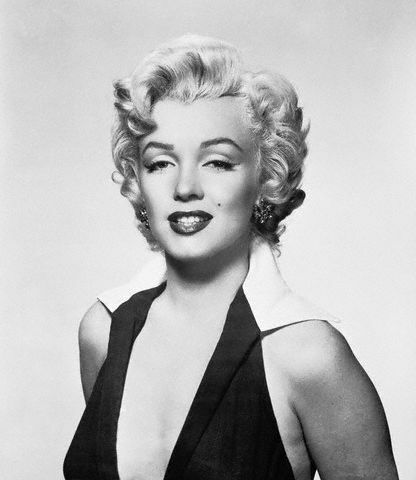 RE: Andy Warhol… See original Studio Promotional photo at http://planetgroupentertainment.squarespace.com/storage/MarilynStudioPhoto_SF20444.jpg – now copyright Bettman/Corbis. Draw your own conclusion. It seems to me that we are viewing the artist’s take on AP picture. Doesn’t trick the average person into thinking its the same thing. This is an entirely new work. What a historically important picture.